How to entertain a toddler without spending a penny. I am so excited about Christmas. The tree has gone up early, I seem to have bought pretty much everything. I’ve planned some Christmas activities for my little one for the month of December. But what do you do when you don’t want to give your toddler any new things to play with, because their toys are waiting in a cupboard to be wrapped, and you’re living off a budget because your money has either been spent, or is going towards all the food and other bits and pieces your money disappears on at this time of year? The weather is also not enticing me to spend much time outside, even with layers on! I’ve been coming up with some free activities to do at home with my toddler who is a bit bored of her usual toys. She had fun, so I wanted to share these activities with you. Let me know if you try any of them and please share your ideas with us, as we can give them a go before Christmas! Ok, I get it, you’re probably thinking, why Charlotte, why would you want to add to the noise levels you’re already experiencing as a parent?! Well we quite enjoy trying to play some rhythms to songs. 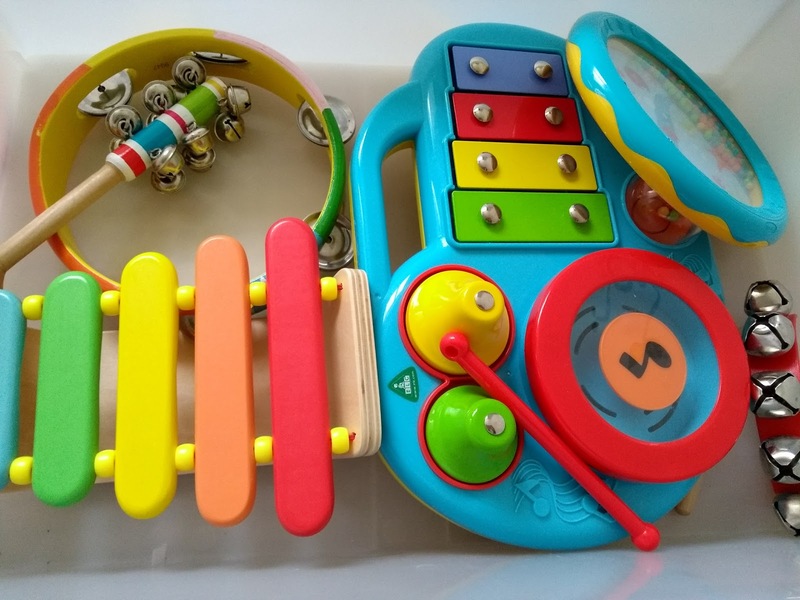 I put on some nursery rhymes and we’ll play some instruments, which I’ve separated from the rest of my daughter’s toys, for ‘music time’. If you don’t have any, get the ol pots and pans out with the wooden spoons and have a little sing song. You’re not in front of a judging panel, so who cares if you’re not Mariah Carey? 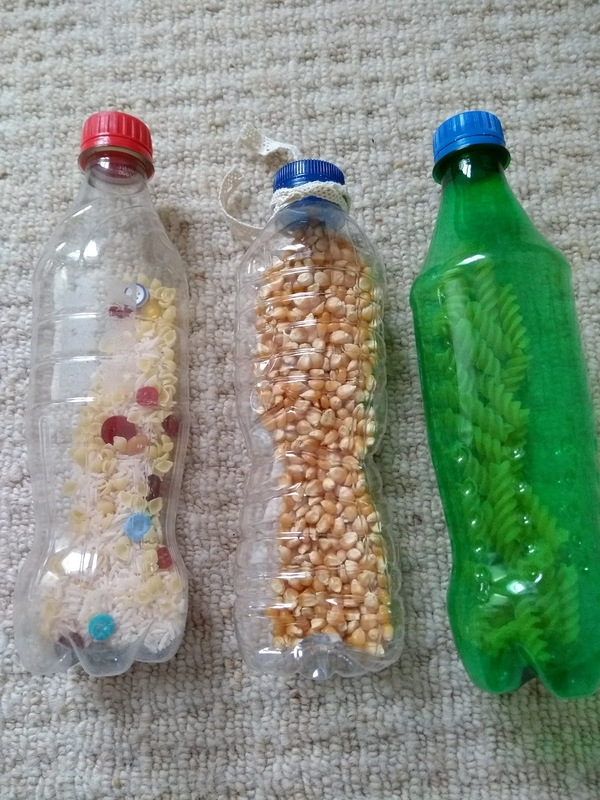 We filled some empty plastic bottles with dry pasta, corn kernels, rice and buttons and used them as shakers. For extra safety you can put some tape round the lids. You could even do this to Christmas songs! If you go down to the woods today… Nope, no way… Not in this weather. 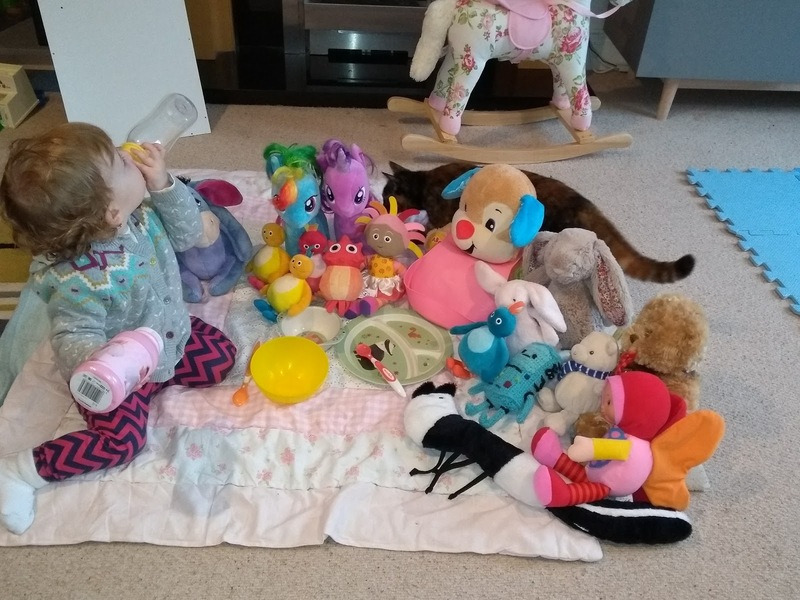 So what better way to bring a bit of sunshine into your home than to lay out a blanket, sit the teddies round and enjoy a bit of make believe fun. This is when you realise just how vast your toddler’s soft toy collection is getting! My daughter doesn’t have a toy tea set or anything like that yet. It’s something I want to get when she’s a bit older, so what we used instead were some of her plastic bowls, plates and spoons. We even got some empty milk bottles she’s not really used. I put on some music and we had a lot of fun feeding the teddies at the picnic. I knew my mum used to make this with me as a child, but I didn’t realise just how easy it is to make and from things that I had in my kitchen cupboard. If I did this again I would add the food colouring to the water, but we still had fun and what we got was more of a marble effect. It wasn’t deliberate but it didn’t bother us, we still had fun. With the amount of salt in the recipe, I kept an eye on my daughter to make sure she wasn’t eating it. Mix the salt, flour and cream of tartar together in a bowl. Add the water, the food colouring and oil into the mixture and stir. This was probably the most time consuming activity for me to prepare. I used a piece of board I had lying around the house, but you could use a piece of cardboard. 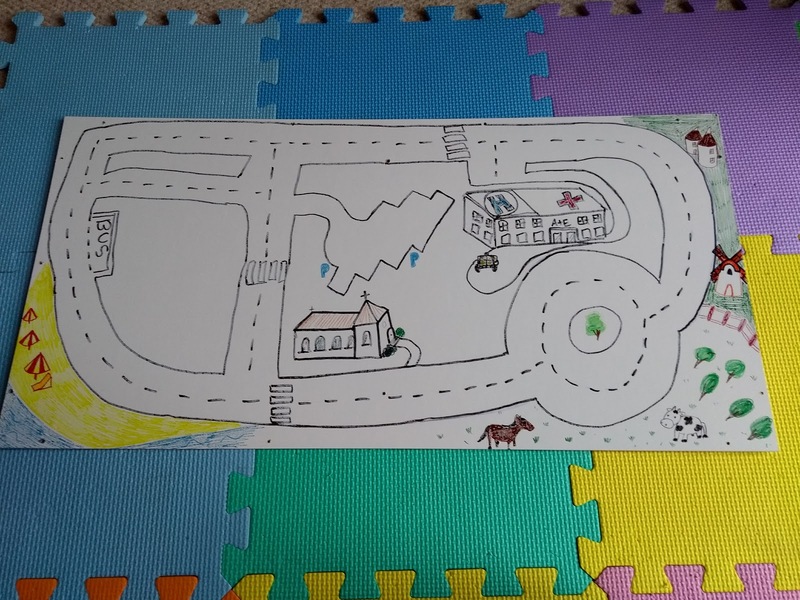 What I did was got out our permanent marker pens and drew some roads, a roundabout and some buildings onto the board. If you were arty, you might like to paint this on, use your imagination! 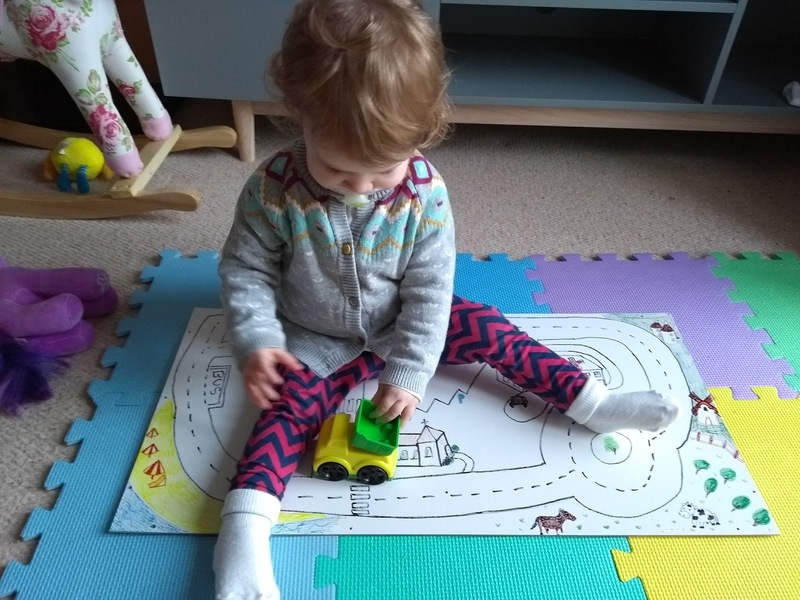 A lot of people will have car mats already for their toddlers, but even if you have, your toddler might enjoy having a different place to drive their toy cars. You could put your house on there and ask your toddler to drive the car home. Now we have this ‘mat’, I’m able to re use it in the run up to Christmas. These were the free activities I did with my toddler in a week. If you are looking for some fun, free activities to do and you didn’t have the pennies right now, I hope these give you some ideas. Christmas is always a time where we are made to feel as parents that we need to get our children lots of things, and I’m not saying you shouldn’t want to spoil your children. What I’m saying is that your toddler will be enjoying spending the time with you and won’t be worrying about the price tag. Like I said, please share your ideas, we’d love to see and hear about them! Thanks for your comment! 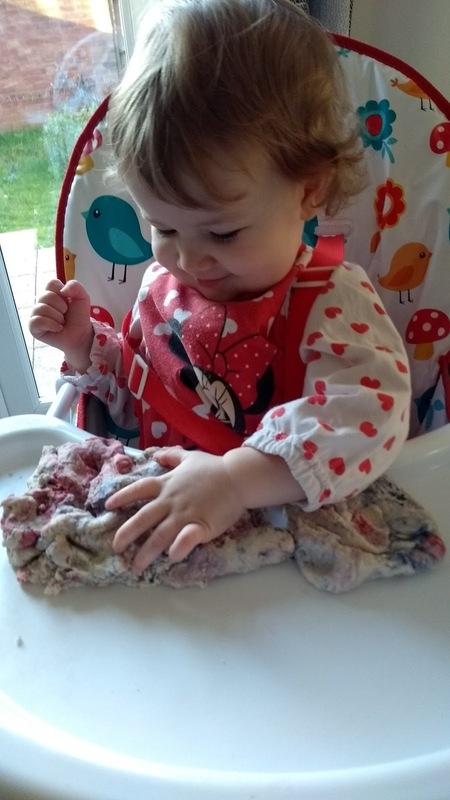 Another great one is making glittery water bottles – you simply fill a bottle with water, glitter and some washing up liquid and it makes a bubbly, glittery, sensory amazingness when you shake it up!